My husband is very wary when it comes to giving Bow a bath and he tries to avoid it at all costs. I think a big part of his fear is the juggling that comes with it. 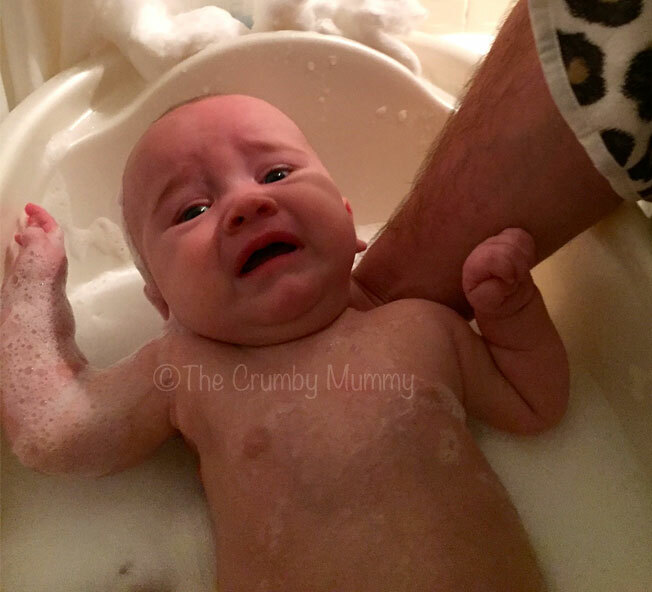 Bathing a slippery baby is hard enough but when it comes to getting them out of the bath whilst attempting to hold a towel under your chin it can be almost impossible. I tried to teach him how to do the towel dance but he was really unsure so I didn’t force things. 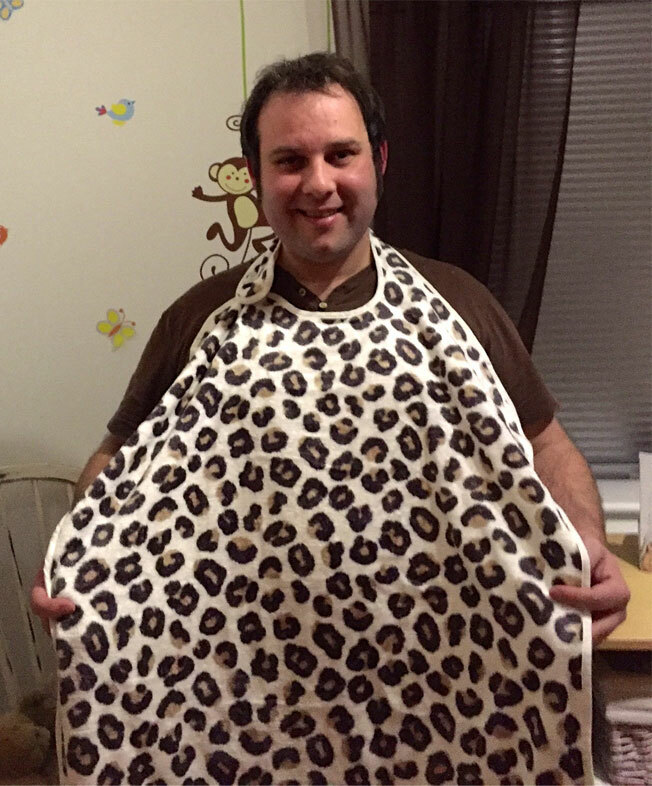 When I heard about Cuddledry’s latest invention, the apron towel, I thought this was a genius idea! 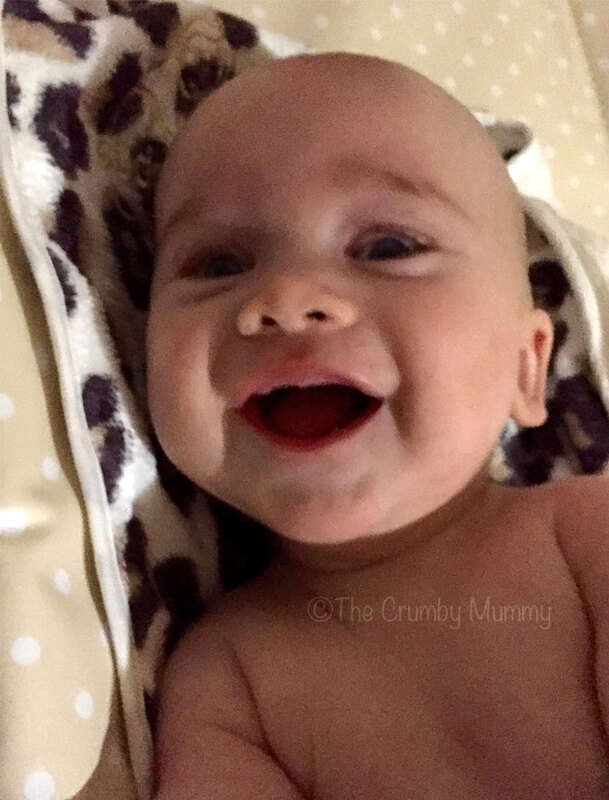 The towel is much bigger than your usual baby towel and it fastens around your neck like an apron so that you don’t have to worry about holding it in place. I thought this may help Michael with his baby bathing fear. 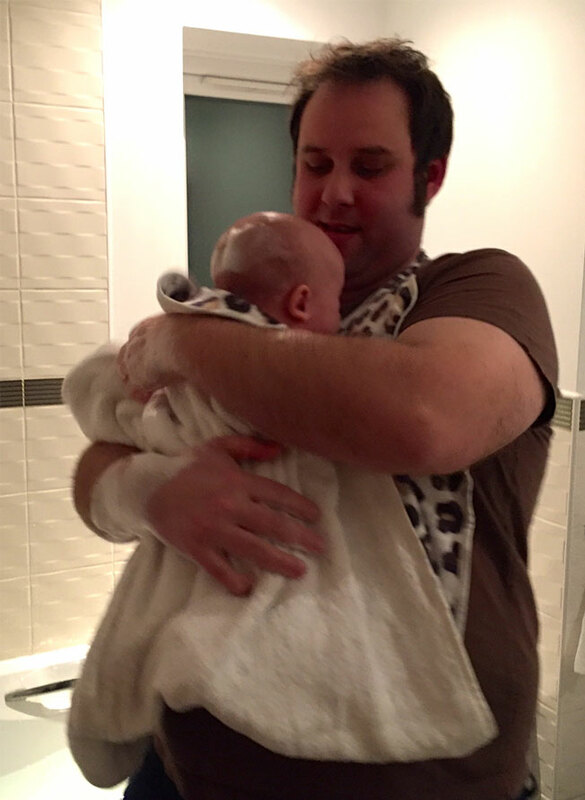 Although bathing a baby can be scary it is also a lovely experience and I didn’t want Michael to miss out. I was so excited when the apron towel arrived and I couldn’t wait for him to try it out. I got everything ready for him and I stayed in the bathroom for reassurance. Michael did really well! He was nervous and I think Bow could sense this as he was quite unsettled. 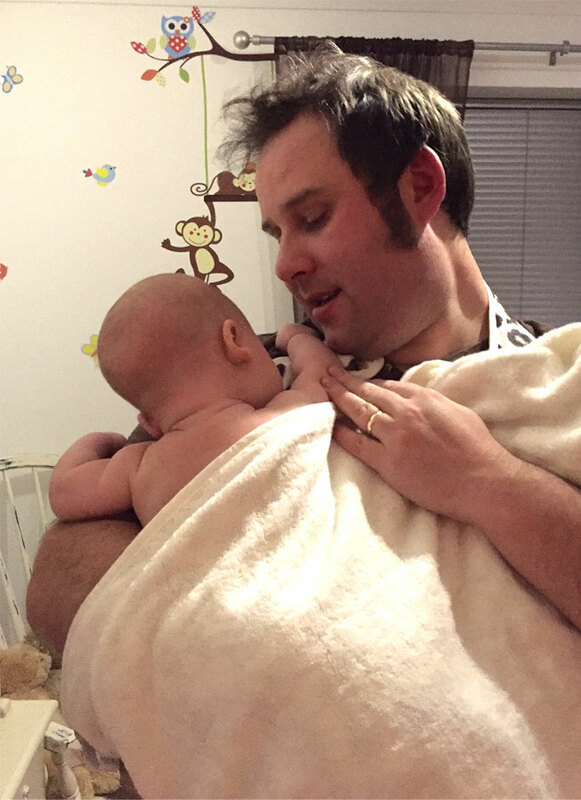 I was very proud though as, despite his nerves, Michael manage to bath Bow, lift him out and wrap him in the towel. He hasn’t raced to bath Bow again but, thanks to our apron towel, he now knows that he can do it. I have been using the towel since and I love it! It is much easier than my towel dance and it covers most of my front which stops me getting wet. It has been washed and tumble dried several times and it is still lovely and soft. The apron towel is a great product and one which I would definitely recommend! 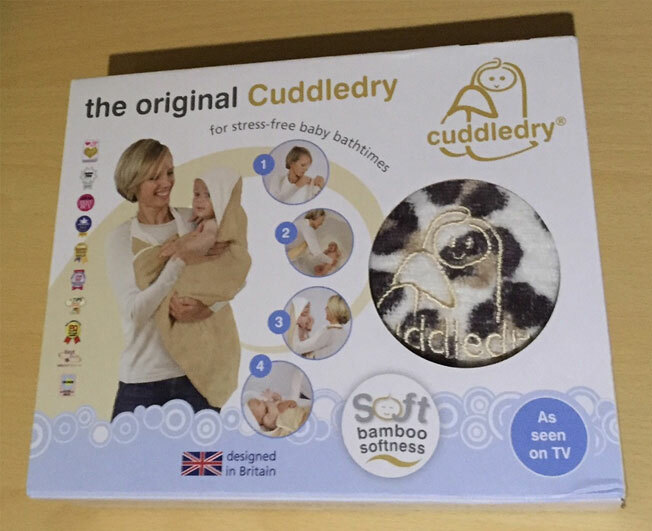 Cuddledry will donate £1 to WWF from every sale of their snow leopard design towels. Disclaimer: We were sent the product free of charge in exchange for an honest, unbiased review. This seems like such a good idea, makes live easier for parents. Ha ha ha this is brilliant! No more excuses Michael! Looks like Bow enjoyed the experience too…. What’s next? oh my so squishy!! that towel looks lovely and soft and what a unique idea! 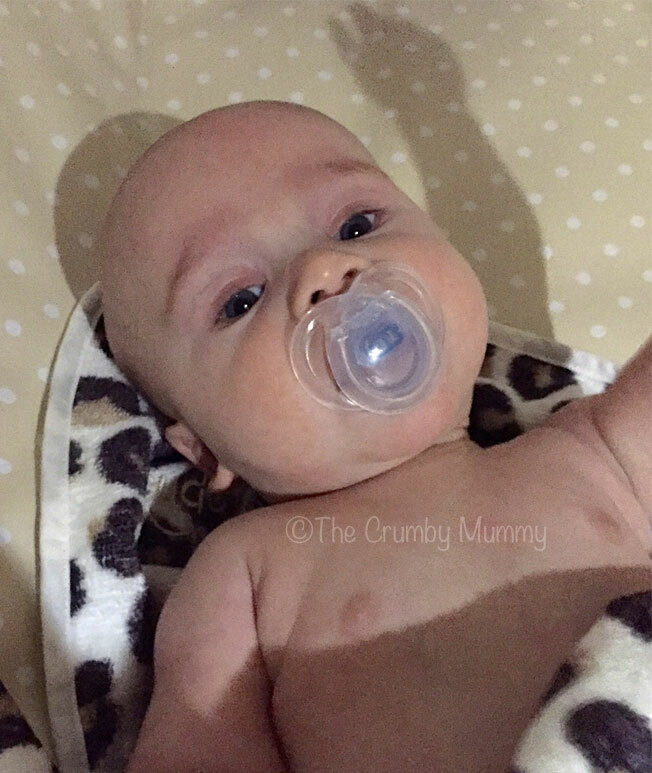 i wish they had such useful items when my two were tiny! What a fantastic idea! I would have loved one of these when my kid was a baby.